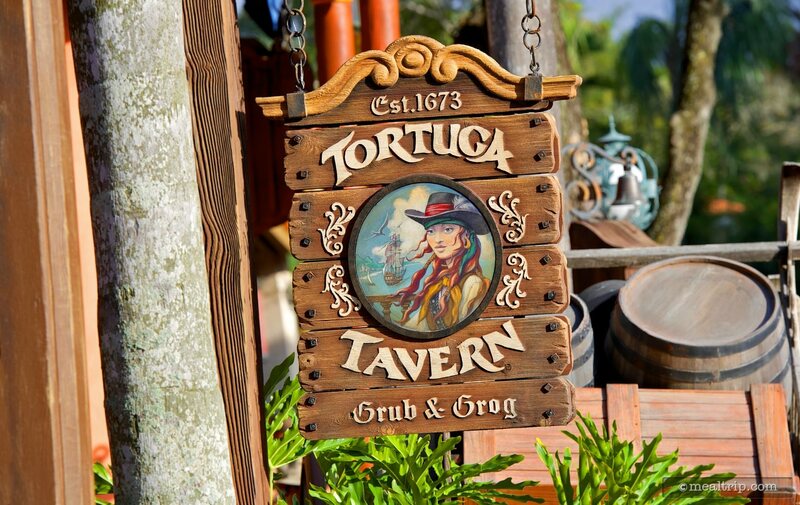 Adventureland’s Tortuga Tavern is a quick service location that features Mexican fare. 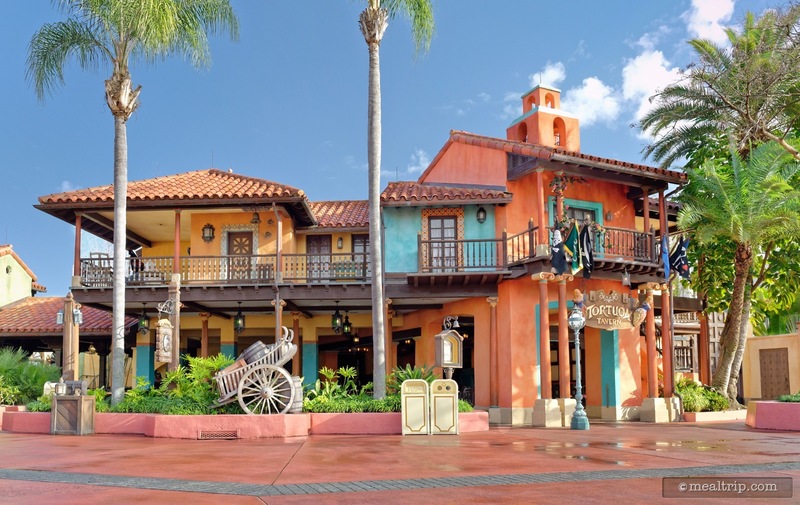 While the exterior of the building itself has a few nice South of the Border features, you can’t really see any of them while seated at the few interior and outdoor (but covered) tables. 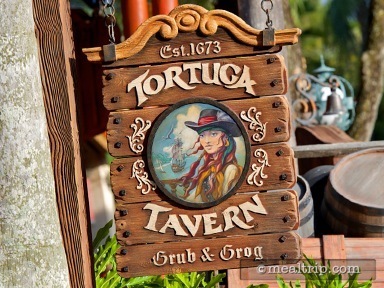 Any detailing you can see while eating, is picked up from the quasi adjoining Pecos Bill’s and Pirate’s area in general. Mexican-American eats include burritos, nachos, and taco salad with chicken, beef or vegetarian options. There is also a toppings bar for adding more accents to your selections.